The holidays are my favorite time of year! But like most families, I try to be very budget-conscious. With so many parties, school activities, decorating to do, and gifts to give around the holiday season, expenses can add up fast. One of my favorite stores to do holiday decor and present shopping is at the 99 Cents Only Store. The 99 Cents Only Store has a huge holiday selection, allowing me to get all the items I need for decorating, holiday gift giving, holiday crafts, baking, and lots of fun goodies for stocking stuffers! Shopping at the 99 Cents Only Store allows me to stay on budget, since I know anything I put in my cart will be affordable and good quality. Being able to shop at a store that fits so well in my budget truly helps alleviate stress around the holidays, so that I can fully enjoy giving this holiday season. 99 Cents Only Store has lots of adorable holiday merchandise at the store, along with many name brand items at prices that can’t be beat! On my most recent trip, I shopped for stockings and stocking stuffers for my daughter and her friends. 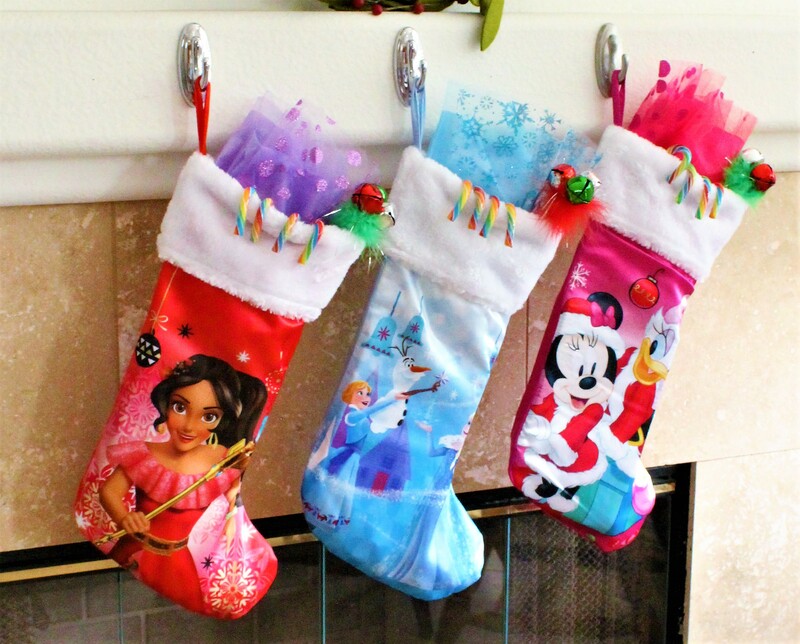 I was able to find three Disney stockings along with plenty of stocking stuffers to go inside, all for under $25 total! I couldn’t believe that all of that (stockings included) came to just under $25! This is why I love shopping at 99! I always save so much money when shopping there, compared to many other retailers. And the stockings were just as cute as can be! You can find more 99 Cents Only Store holiday ideas by visiting the #Doingthe99 page here! What great stocking stuffers!! Good work!